Most people don't take the time to understand Libertarianism, but they should. Libertarianism is a political movement with an economic school attached. That school is known as Austrian Economics. The Mises Institute, which attempts to bring libertarian/Austrian thought together in one place is located in Auburn, Alabama. It was founded by Lew Rockwell and Murray Rothbard. Before discussing the really disturbing three ugly issues regarding Libertarianism, here is a quick rundown of political and economic beliefs contained within the philosophy that fascinate many people. As to the political, I have a brief opinion. That is, Ludwig Von Mises, 20th century thinker whose name is affixed to the institute, believed that limited government was best. Whether limited government is the best way forward, or not, Mises has advocated it, but has not advocated the complete elimination of government, which is known as Anarcho Capitalism. Murray Rothbard, who was the lead teacher of the Mises Institute, and whose work is archived there, did believe in the total elimination of government. Anarcho Capitalism advocates the elimination of the state in favor of the sovereignty of the individual and sovereignty of free markets. It is clearly what Murray Rothbard taught. There are major ethical and religious arguments against Anarcho Capitalism and against Libertarianism altogether. Rothbard appeared to hold some disturbing views regarding personal morality. Political philosophers say lots of things, and write a lot of things. It can be hard to pin down what they say and people fight over what they say all of the time. However, I am confident that Mises said that the state must exist, albeit in limited form. 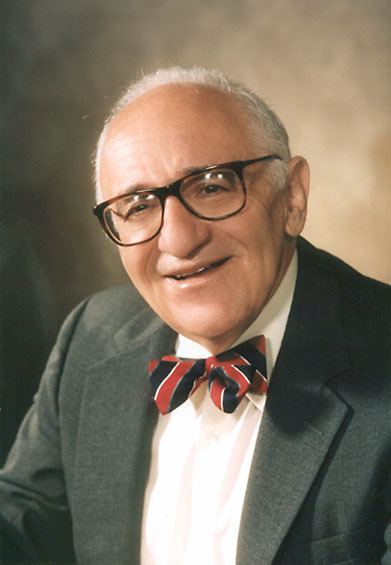 There is a huge divide here between Mises and Rothbard. As to the economics, the primary goal of Austrian Economics is to look at reality, and reject models. Since the Institute was founded in 1982, it pretty much preceded the mispricing of risk that lead to the housing bubble and subsequent economic crash known as the Great Recession. Using models instead of reality as to price risk did not work out so well in the Great Recession. One hopes current models will more closely be measured against reality but we can only trust modern economics and banking to deliver. That is likely the overriding fear of investors, that is, are those bankers getting it right this time? 1. Libertarians believe in free association. But they extend that notion to public places and places of business. So, if a man of color were to be hungry, and there was no where else for him to eat, the Libertarian believes that free association gives the restaurant owner the right to refuse service. 2. Libertarians believe in the invisible hand of self interest. This is both good and bad, depending on how it is formulated. Yes, capitalism overcame communism. People determining what they want to buy based on price and quality is a superior system to business telling individuals what they need to buy and how much they must pay for it. Exceptions are regulated monopolies like your electric company. But even many Libertarians would reject that regulation. However, self interest is selfishness. The theory of the invisible hand was used to give banks freedom to lend to whomever they want, but then those very banks seek government bailouts when their loans go bad. In reality, profits are often privatized while loses are socialized, meaning government and taxpayers pay the cost of banker mistakes, or the debt simply increases. This bailout mentality no doubt discourages and angers the Libertarians. And Ron Paul said the government steals from you in order to give social security to your those who don't work, and he would probably cut loose his own mother and grandmother in order to limit governmental assistance to the needy if he stayed true to his doctrine. 3. Libertarians believe that economic depressions are the same, and that it is ok to allow them which would cause animal spirits to take economic growth upward, solving the malaise. They point to the 1920-21 Depression as their example of how getting out of the way, on the part of government, would cause a rebound. However, there were differences between the 1921 Depression and the Great Depression. It appears that the 1920-21 Depression did not have an accompanying banking crisis. In the Great Depression, commercial paper was destroyed, both for consumers and for business. In the Great Recession, CP was destroyed for the subprime market, pushing bad loans that were off the balance sheets back onto the balance sheets. An accompanying tightening of money, mark to market, interest paid on reserves, and slowing NGDP destroyed the HELOC market, which ultimately took away the middle class's ability to borrow. Marcus Nunez says this was the direct cause of the Great Recession. Therefore, it is important to realize that leaving the banks to fail in a credit crisis will not have the pleasant result that Laissez Faire had in the 1920-21 depression. So, then, there is much more to contemplate regarding Libertarianism. For example, when someone says they are libertarian, you really have to pay attention to what they mean and in the context in which they are speaking. Are they wanting to sell you gold? Are they fearful of the bond market? Are they afraid of the national debt? These are issues that are complex, and when people say they are Libertarian and have easy and simple explanations for complex situations, you have to be careful. And there is massive demand for long bonds for use as collateral in the derivatives markets. Mises formulated his doctrine well before any of this structured finance existed. His school has no answer for the demand we see for bonds at near zero and sometimes below zero interest rates today. It is important, in my opinion, to read Mises and of course, Rothbard, in the context of the complexities mentioned above, and not with a blind allegiance to the doctrine. Take the good ideas and leave the bad or the overly simplified and run from the ugly. Don't be herded into believing something that carries major flaws but has become a fervent religion to many.